On Monday, golf’s major organizations—the Masters, R & A, PGA of America and the USGA—held a press conference to announce their respective bodies would grant a one-year exemption into their major championships to golf’s gold medal winner at the ’16 Olympic Games in Rio. Though not present, the LPGA announced a similar invitation for the gold medal winner for its ’16 Evian and ’17 Ana Inspiration championships. As such, all nine majors (four for men and five for women) will be supporting the initiative. 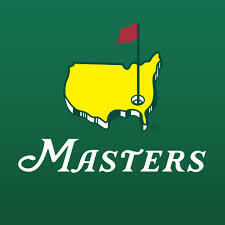 Masters chairman Billy Payne, the former CEO of the Atlanta Committee for ’96 Olympic Games in Atlanta, said: “We believe our game’s visibility will be dramatically elevated by the global platform that only the Olympics offer.” Oddly absent and without an official statement was the PGA Tour. Isn’t the Players Championship a fifth major? A Masters “no-no” is bringing a cell phone onto the course. At the 10th tee on Tuesday, fellow Frenchmen Victor Dubuisson, a Top 50 World player, and Romain Langasque, the British Amateur champion and invitee, posed together for a photo, taken by a cell phone from Dubuisson’s “coach.” An ever-vigilant Masters security person immediately questioned the coach about the forbidden device and was informed it belonged to Dubuisson. As such, the phone wasn’t confiscated but the official promptly reported the breach to his supervisor. I wouldn’t be surprised if Dubuisson was later visited by Inspector Clouseau, dressed in a green jacket. U.S. Amateur champion Bryson DeChambeau generated a spate of columns after his Tuesday press conference. In it, he expounded on his use of same-length irons and wedges, all with the same lie angle, shaft and grip. By visiting the club’s Trophy Room and its club display, he learned Bobby Jones played with several irons of the same length. He also shared his unique names for his un-numbered irons. For example, his 46-degree wedge is dubbed “Herman Keiser” for the 1946 Masters winner. Right place at the right time: On Wednesday I witnessed David Lingmerth’s ace at the Par-3 Contest on hole #7. Also joining me in the gallery was Grand Rapids & Naples resident Gregg DeWitt. Later, DeWitt witnessed another ace on the same hole by 80-years-young Gary Player (his 31st). In all, there were a record nine aces on Wednesday. Several pundits voiced tongue in cheek fear that club officials would now lengthen the Par-3 layout. Jimmy Walker won the Contest in a record-breaking 19 shots, eight-under par, with six birdies and an ace. Wednesday at the Chairman’s Press Conference: Billy Payne held his cards close to the vest and made no announcements about any specific hole changes including the much-rumored lengthening of the 13th hole. Instead, he said: “We have made no decision whatsoever…Plans are underway…and that is one of many holes we now have under consideration.” Later, he mentioned the 4th and 5th holes are also under study given that Old Berckmans Road is now under club control. “Certainly, that creates options which heretofore did not exist…” And lengthening or realignment of certain holes is only one option. More room on the property may allow for better freedom of movement and corridors for patrons and players alike. Although Payne didn’t take it off the table as an option, modifying the game’s formal equipment rules—e.g. an official golf ball—is not a likely scenario at the Masters. “We would only resort to equipment [rule modifications] as the last resort because…the governing bodies in golf deal with that very effectively.” Actually, the governing bodies have allowed equipment—ball, shaft and clubhead—to outpace the dimensions of the game and to negatively impact championship courses such as Augusta National with expensive lengthening for elite players. Major League Baseball, in contrast, has carefully regulated its equipment—bat and ball—so that it’s storied venues and time-honored dimensions have been preserved. Another item from the Chairman’s Press Conference: When asked if the Masters might look at expanding the field in the future, Payne answered, “Unlike certainly any other major what limits the number of participants here is the number of daylight hours.” True enough but why then doesn’t the Masters move up its Sunday teetimes so as to allow for more daylight in the event of a sudden death playoff? As much as I admire all that the Masters does for its patrons and players, it’s been narrowly dodging a Monday finish by a suspended playoff due to darkness. Instead, officials continue to schedule the final Sunday grouping at 2:45 pm. (Note: The final pairing on Sunday holed out at approximately 7:15 pm EST, lending only a brief window for a playoff.) Why not move up teetimes by at least 30 minutes? Given the Masters’ global television audience, let alone the sizable inconveniences of a Monday finish, it’s the right thing to do. This was Tom Watson’s final Masters as a competitor. The two-time Masters champion ended a 43-year run (134 rounds) at the tournament, ninth on the career ranking for player starts. He last made the cut in 2010. Opening with an impressive even-par 72, Watson missed the cut by two shots after a six-over par 78. In his own Masters tradition, he left an egg salad sandwich on the 13th tee in honor of his long-time caddie, Bruce Edwards, who finally succumbed to ALS disease on April 4, 2004 while Watson was on the course at the Masters.